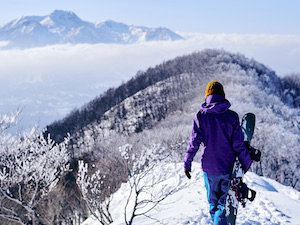 As host of the 1998 Winter Olympics, Nagano came to the attention of the world and ever since, has been a fixture on the itinerary of many international visitors coming to Japan. 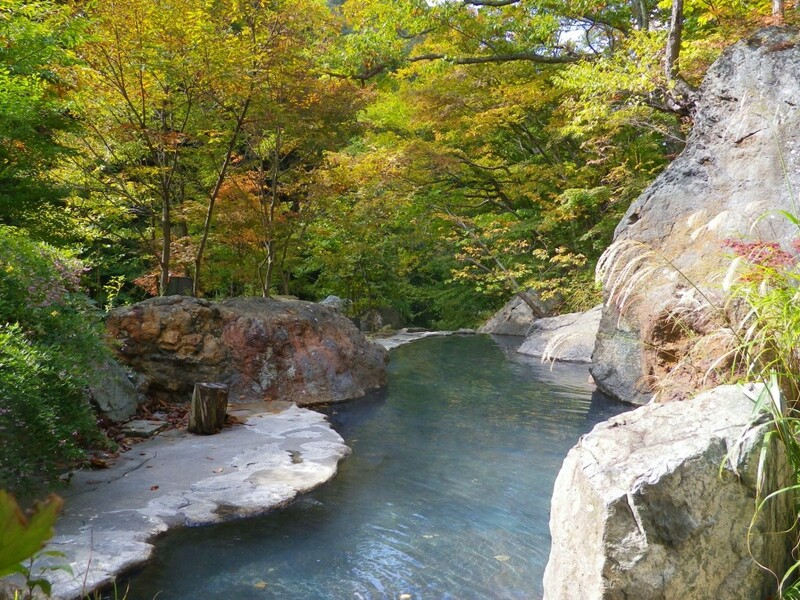 Famous for its high mountain peaks, deep snow in winter, bubbling ‘onsens’ (natural hot springs) including its onsen-bathing monkeys, Nagano’s many natural and cultural highlights are now well-accounted for in travel guides and websites. 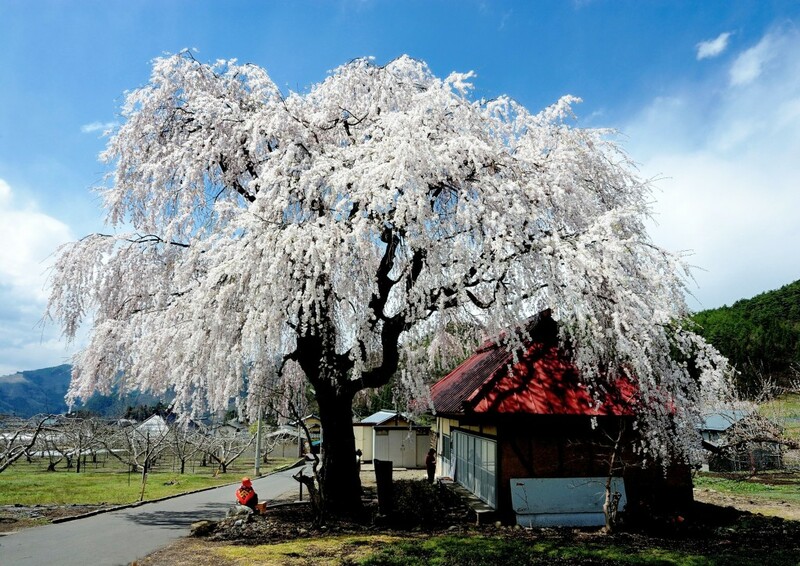 Matsukawa Valley is located approximately 1 hour – by train then bus – from JR Nagano Station which serviced by the Hokuriku Shinkansen Line, places this tranquil corner of Japan less than 3 to 4 hours from Tokyo Station. 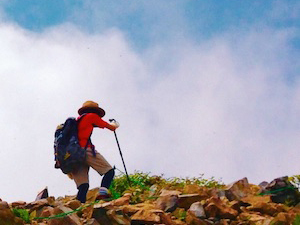 The ease of access to the valley belies its true rural nature, as a place of escape and quiet and beauty. 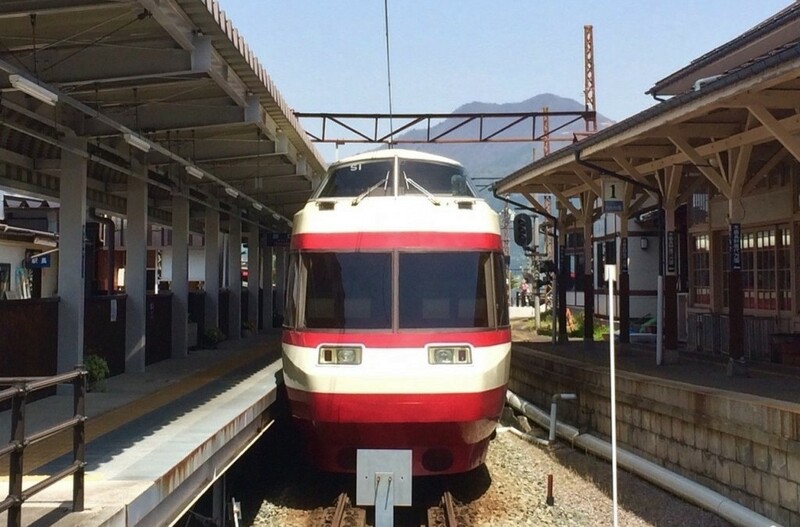 Visitors coming to Matsukawa will almost invariably do so via JR Nagano Station in a two-stage journey. 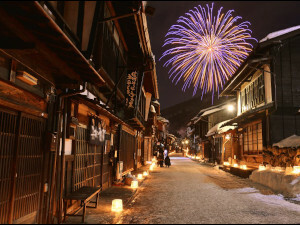 Located in the heart of Nagano City, the station is the gateway to the region and central Japan. 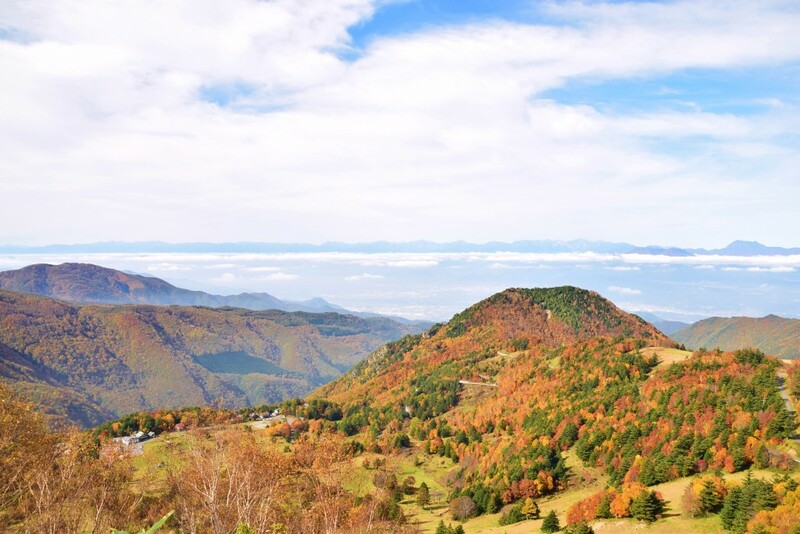 Regular shinkasen services from Tokyo to Nagano – including the reservation only Asama (80 minutes) or Hakutaka (100 minutes) and Asama (110 minutes) – make the first stage of the journey entirely effortless as you are whisked from the concrete and neon of Tokyo into Japan’s rural heartland. 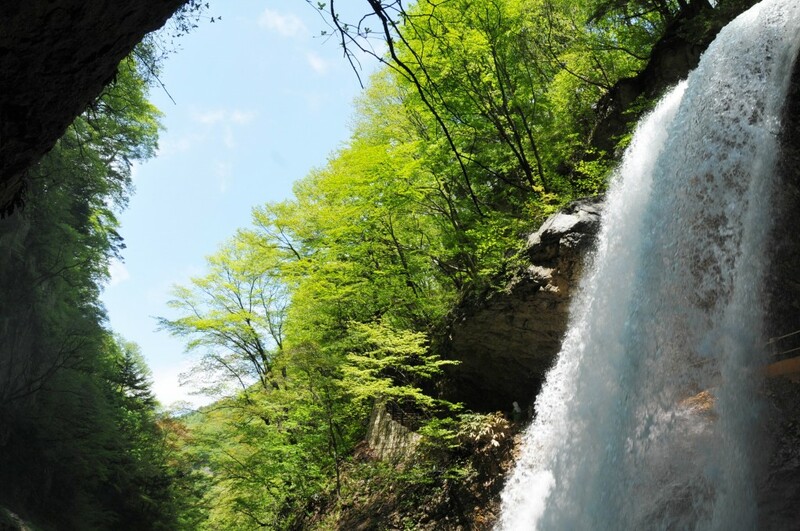 Once in Nagano, the second and shorter stage on your journey to Matsukawa Valley begins. 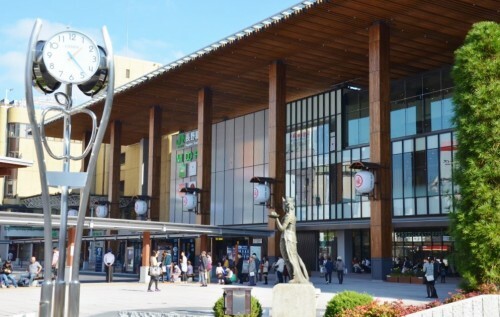 Nagano Station is small and you’ll easily be able to find the Nagano Dentetsu (Nagaden) Train Line by exiting the station’s Zenkoji Exit and descending the escalator to your right. Once down the escalator head to your left and you soon arrive at the ticket and information window. Nagaden operates limited express and local train services to Suzaka Station – the nearest station to Matsukawa. 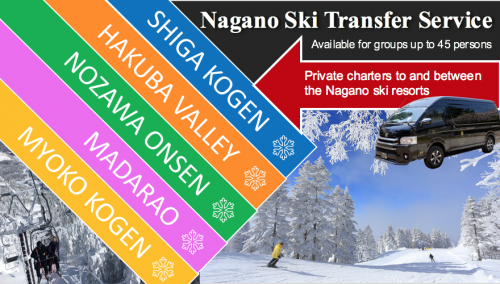 Nagaden’s train schedule can be found on page 22 on the Snow Monkey Resorts Magazine 2018 Vol.7. 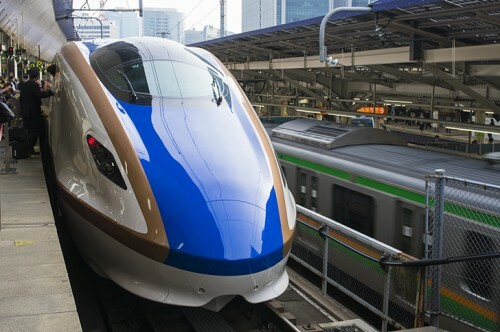 The length of journey depends on which service (limited express or local) you choose but typically takes between 16 to 25 minutes. From Suzaka Station, a local bus service runs toward the Matsukawa Valley with the most convenient drop-off point being Yamada Onsen. 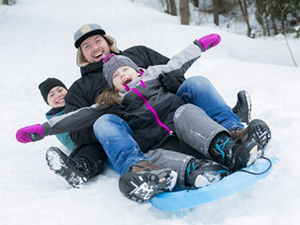 Buses are somewhat infrequent and though quite easy to use, are also a little daunting for some first-time visitors, taking approximately 45 minutes from the station. As such our recommendation for visitors planning to stay in Matsukawa Valley is to book accommodation which offers pick-up and drop-off at Suzaka Station. 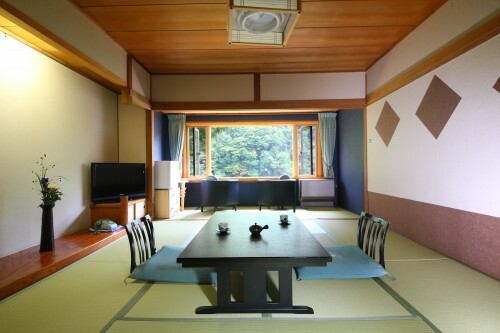 Home to many ‘ryokan’ (guesthouses), the beauty of the valley is best enjoyed in the comfort of a traditional Japanese guesthouse, from where you can truly soak in the atmosphere and solitude of the surrounding landscape. 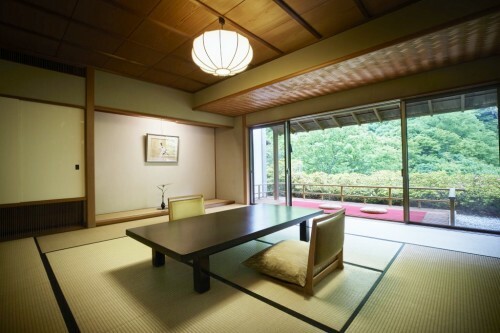 Renowned for their devotion to service and the relaxation of their guests, a ‘ryokan’ is a place to completely unwind as you indulge in a traditional meal service, bathe in an ‘onsen’ or simply admire the miniature detail for which Japanese service is known around the world. 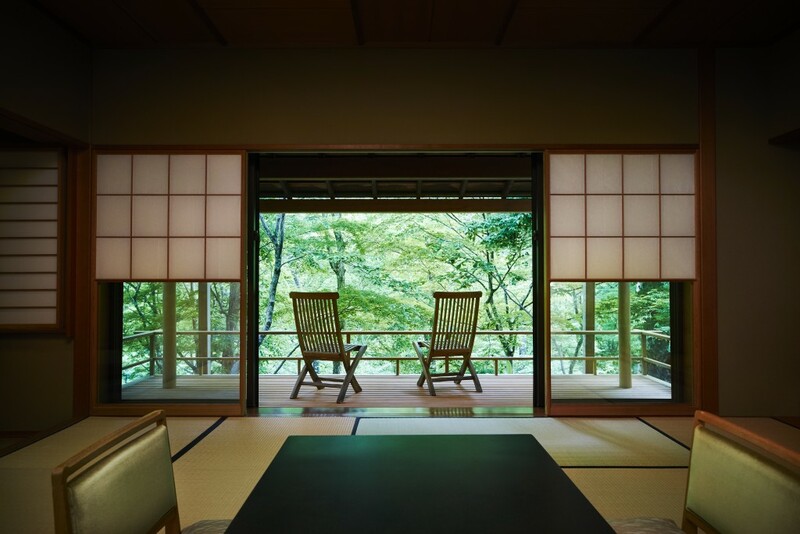 Located in the 200-year old town of Yamada Onsen, Fujiiso (as pictured and below above) is acclaimed for its comfort, style, and meal service designed by head chef Atsushi Fujimoto. 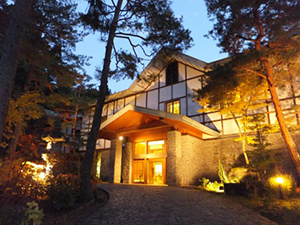 Fujiiso offers guests both Japanese and Western-style rooms with a focus on elegant design and spectacular views of the forested ravine outside. 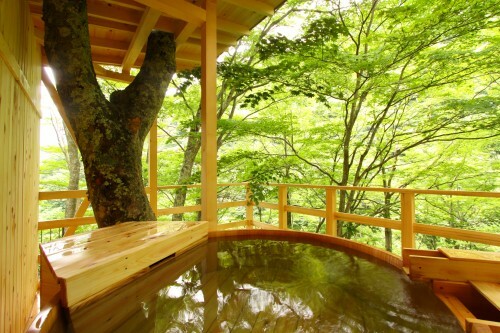 Fujiiso’s elegance is carried over into its timber and granite hot springs, with both indoor and outdoor pools to unwind in, as thoughts of hectic cities and daily hassles are quickly washed away. 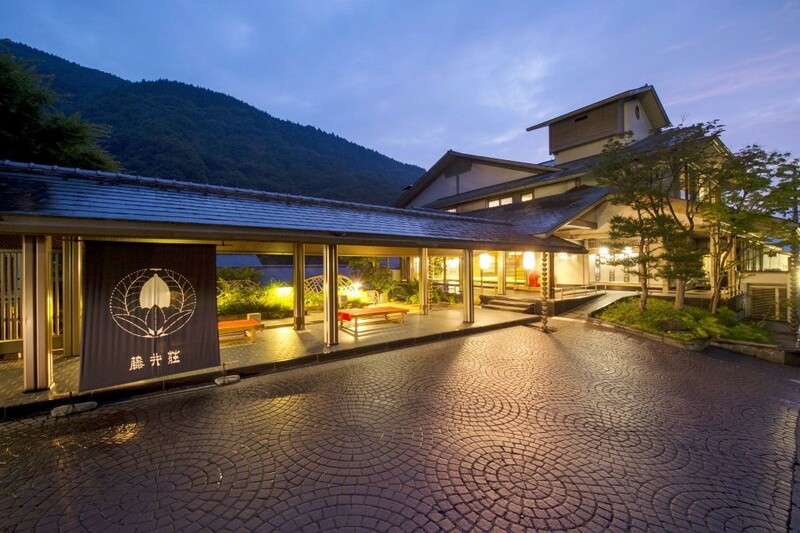 Also located in Yamada Onsen, Fukeikan (as pictured below) offers guests multiple ‘onsen’ and the indulgence of traditional service including dinner and breakfast service set against the backdrop of the surrounding mountains. Traditional Japanese rooms including ‘tatami’ flooring and ‘futon’ bedding are designed for the relaxation of guests. Fukeikan’s outdoor pools blend into the landscape offering guests comfort and privacy as they soak in the true essence of Japan and its rural, pristine heartland – a perfect getaway for couples wanting that little bit of indulgence or and any traveler wanting to discover the heart of Japan and its traditional admiration of the natural world. 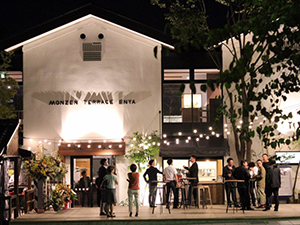 Fujiiso and Fukeikan offer guests a free shuttle service from the station, including pick-up and drop-off, which can be requested at time of booking. 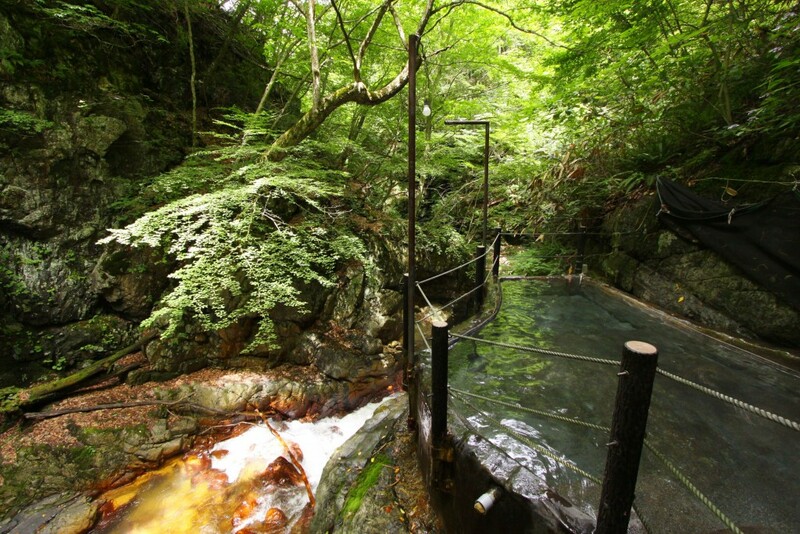 Located in Yamada Onsen, both guesthouses are also within easy access of many of Matsukawa Valley’s most enticing destinations including its stunning waterfalls, best walking trails including popular spots for viewing the autumn leaves, other ‘onsen’ hot spots, and nearby Yamaboku Wild Snow Park and its fabled 13km Tacochi Backcountry Course!